Plus, Mayor Ted Wheeler can't please everyone and affordable housing doesn't mean cheap housing. The Interstate-5 Rose Quarter Improvement Project lost one vote on the City Council when Jo Ann Hardesty replaced Dan Saltzman in January. But Commissioner Chloe Eudaly, who is in charge of the Portland Bureau of Transportation, is leaning toward the project, despite organized community and advocacy group opposition. During the March 12 public hearing on the $500,000 project, Eudaly disagreed with opponents who call it a "freeway expansion" project. 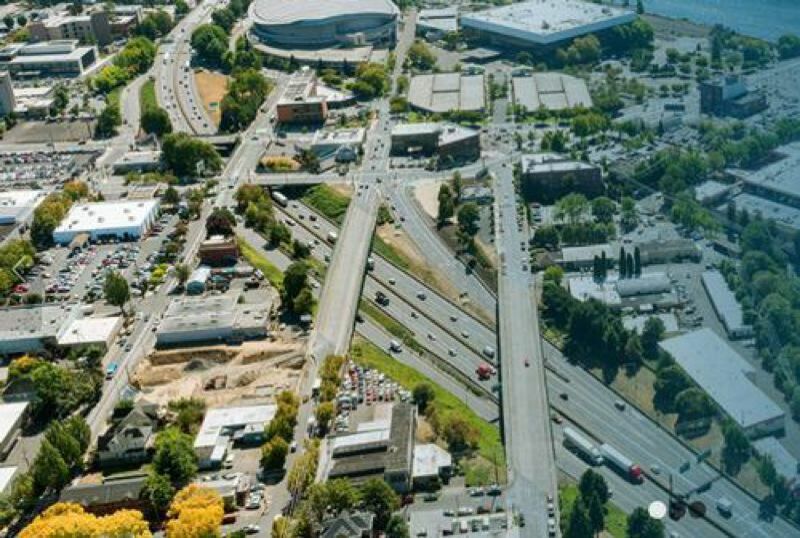 Eudaly correctly noted it will not increase freeway capacity, but is intended to rework the complex I-5 and Interstate-84 intersections in the Rose Quarter area to reduce backups and collisions. "I don't necessarily think fixing this poorly designed exchange on I-5 is a terrible idea," said Eudaly, who described the project as "trying to clear up a bottleneck." It is unclear whether the council can stop the project anyway. The freeways are owned and operated by the Oregon Department of Transportation, and the project has been ordered by the Oregon Legislature, which considers traffic congestion in Portland to be a statewide problem. Mayor Ted Wheeler has been pushing Portland police to be harder on right-wing protesters, asking why few have been arrested for fighting in public and questioning friendly seeming texts between Patriot Prayer leader Joey Gibson and a police protest liaison. That has prompted criticism from far-right websites, including The Gateway Pundit, which accuses Wheeler and the rest of the City Council of undermining police morale. "This has all culminated in what one inside source calls an 'exodus' of officers who are retiring early, transferring to a different agency, or otherwise leaving the bureau," a March 15 post on the website said. Although the greater Portland region is widely reported to have an affordable housing problem, three Oregon cities with the most affordable housing are located in the metro region, according to recently analysis of U.S. Census data. The analysis by HomeAway.com says Hillsboro has the most affordable housing in the state, with the third most in Beaverton and the sixth most in Gresham. Portland comes in at No. 8 in the analysis by the online vacation rental marketplace. Affordable doesn't mean cheap, however. It is instead a ratio of median rents and incomes. When it comes to cheap housing, Gresham comes in at No. 4, followed by Portland at No. 6, Beaverton at No. 7 and Hillsboro at No. 8. You can find the analysis at homeaway.com.